Wilton Park Conference Report: Global constituencies in the NPT regime: how to build consensus for 2015? Sunday 2 – Wednesday 5 September 2012, WP1188, 9p. Stratos Pourzitakis, NP paper No. 17, June 2012, 18p. Harald Müller, NP paper No.10, February 2012, 18p. Giorgio Franceschini, NP paper No.11, February 2012, 16p. 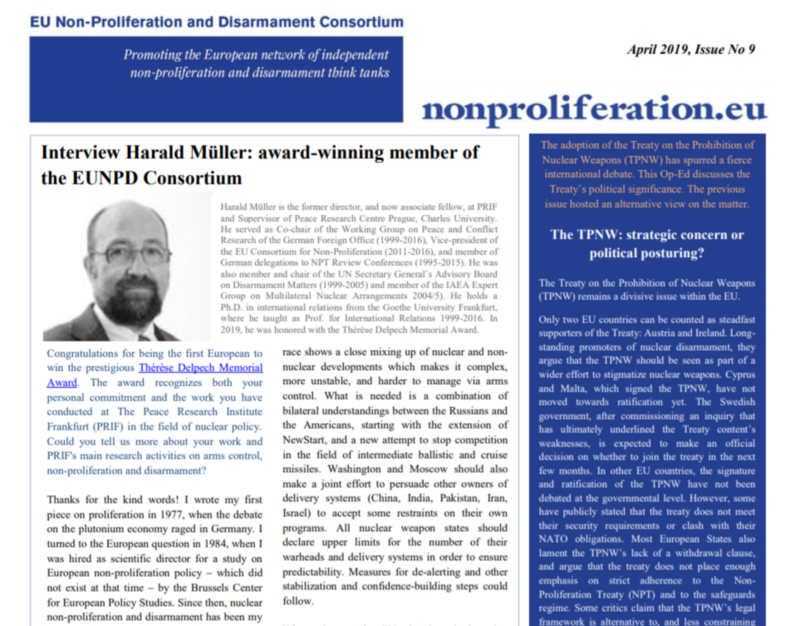 Nuclear non-proliferation: what now after the 2010 NPT review?